I’m on a two-door sedan jag, so let’s see how long we can keep the party going. This isn’t the first ’65 Custom two door I’ve found; the other one was white and written up here. It was also a bit less…sinister; or just not so dusty. This one’s sitting in front of a truck junkyard and sales lot, so it might well be for sale, if someone was so inclined. Its thick layer of dust and road grime from Hwy 99 suggest it’s not moved in a while. Looking into the interior tends to confirm that. The column gear selector for its automatic is missing, but I don’t see a floor shift conversion either. An anti-theft deterrent? 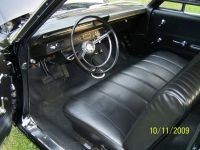 And those seats are hardly stock; the original was the classic bare-bones bench. Fold down armrests? Not for the skinflints that bought these. The rear seat looks original, except for the upholstery. This car looks like someone’s project that stalled out, but it wouldn’t take much to whip it into decent shape. 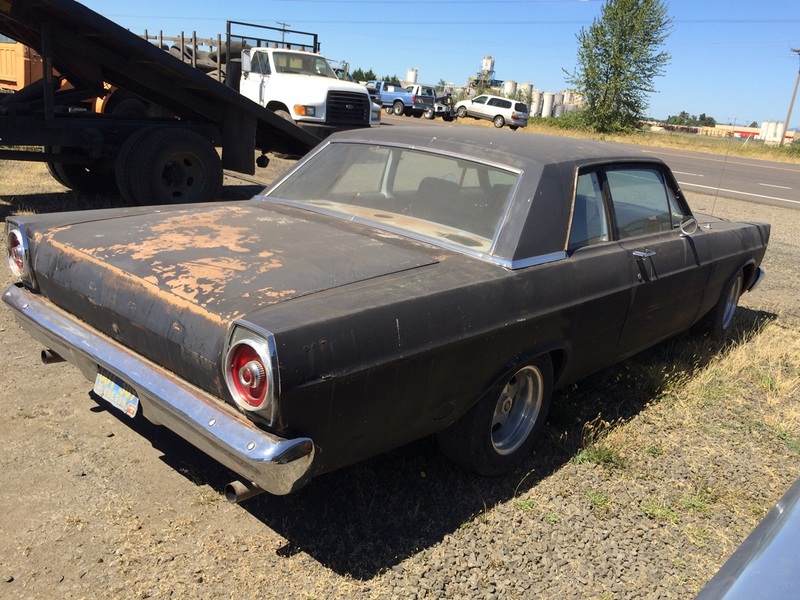 I’m not a huge fan of these boxy ’65 Fords that were trying to catch the ’63 Pontiac magic, but in a bare-bones two door sedan like this, it’s rather appealing. As is that gold patina. Original 1965-typical “Medium Gold” or something like that coming through? I could see my father buying this as a replacement for the ’62 Fairlane; at least that had four doors. The more I looked at it, the more I was attracted…and repelled, simultaneously. Maybe my feelings would have been more firmly in the first camp if it hadn’t been 95 degrees out; the idea of driving a black sedan in that temperature was a bit off-putting, says the guy who then got into his ’66 F100 and drove over to the lumber yard next door. It least it’s yellow. After the beautiful 64, the 65 was a bit of a shock. The updates for 66 were a lot nicer looking. After 66, I think I’d jump to 1970 for my next big Ford. No kidding. i remember when they first came out. I was dumbfounded that Ford would market such a box after the ’63-’64 models. Set up right, the boxy ’65s aren’t all THAT ugly….here is my ’65. Click on the photo for the full size pic. 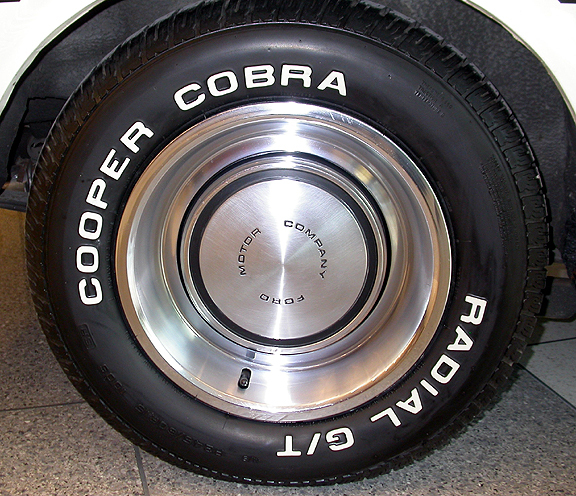 And that model would much more typically be seen with full wheel covers. Which IMHO are far, far better. 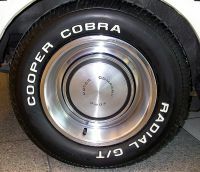 Hubcaps just look like cheapskate hair shirt dad car (concept discussed at length just recently here). Because that’s the only cars that would be seen with them. Okay, that’s a ’65 done right! The black suits it. I don’t *dislike* the ’65 but the ’64, especially the semi-fastback 2-door hardtop, was one of my favorite 60’s designs, from any manufacturer. So it had a high bar to reach! No telling what is going on with the transmission and possibly the engine. Someone could do something wonderful with this but I fear it will be abused and scrapped. The body looks like its in great shape. That’s half the battle already won. Hope someone saves it. Always thought after ’64 these look a little cheap, I know mechanically they are actually much improved. The ’67 is much better looking in my opinion. I always found the round tail lights on the 1965 Custom to be a bit curious. Wouldn’t it have been cheaper for Ford to just build ALL of the full-size Fords with the same tail light design? Why trouble with two different tail light assemblies? I was going to ask the same question. 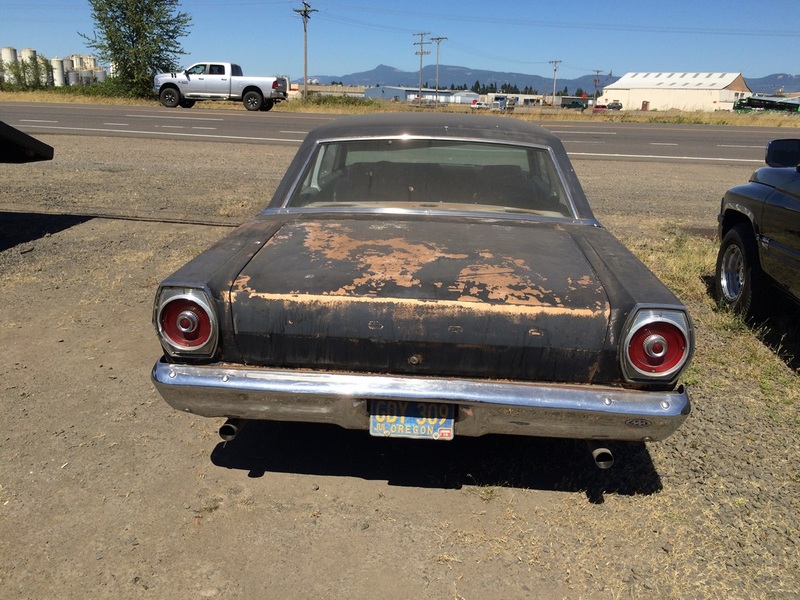 They don’t look like ’64 Galaxie parts – are they Falcon or Fairlane lights? Car tail light lenses actually used to have the year on them in the 50’s. If they were used the next year they would still have the original year. I don’t know when this ended. Very likely the round 65 tail lights were in response to Chevy’s 4 or 6 tail light treatment on their full size lineup. If Chevy was going to point out their cheap customers, then Ford would too. Try to shame a few into spending a little more so that they wouldn’t look cheap. In 1980 I worked with a Chevrolet dealer to order a brand new Citation. I was on a very tight budget and only selected a couple of options. I remember very clearly that Amber rear turn signals were an EXTRA COST option. I asked the salesperson about this as it was simply a different color plastic lens. The salesperson said quite seriously that the amber rear turn signal conveyed a “stylish European flair” and and that Chevrolet division felt they could charge more for it. I politely declined the flair. Having grown up around a bunch of these, I concur on the ’66 and ’67s being the best of the era. 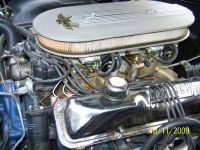 One thing they both conveyed was an aura of richness beyond their price class in details like grille textures and lamp design – something Chevy was much better at doing consistently through the decade. As for the circle in the rectangle lights, they feel like an uneasy compromise between a traditional icon and a new and unforgiving form. Yes it would have been cheaper but the savings would be basically a rounding error at the volumes that Ford (and Chevy) produced their standard cars in the 60’s. With production levels that high they needed several sets of all of their tooling along with a back up or two. So an hour or two for a low level designer to whip out the base model design and ordering a mix of tooling doesn’t add up to that much. I’m not so sure the savings were all that insignificant, and it’s for one reason: back-up lights. The omission of back-up lights and related hardware is where the real savings came from on these ultra-strippo cars from the sixties when they used special, cheapo taillights. It might not have been much, but it was there. Does anyone know if there was eventually some sort of regulation that required back-up lights, or did the manufacturers finally figure out it wasn’t worth the meager savings and just use the same taillights for everything? Back up lights were originally optional and a cheap option at that so the weren’t included on base models so they could be upsold as a profit enhancer. They might have added $2 to the cost but could be sold for $10.70. 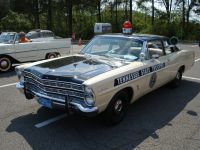 Yes they were eventually required by law but that didn’t cause the mfgs to stop having different tail lights for the different models of the same car. GM kept different tail light set ups for the Impala and Caprice long after back up lights became required by federal regulations. I love these huge, old weird two-doors that just seem weirder with each passing year. 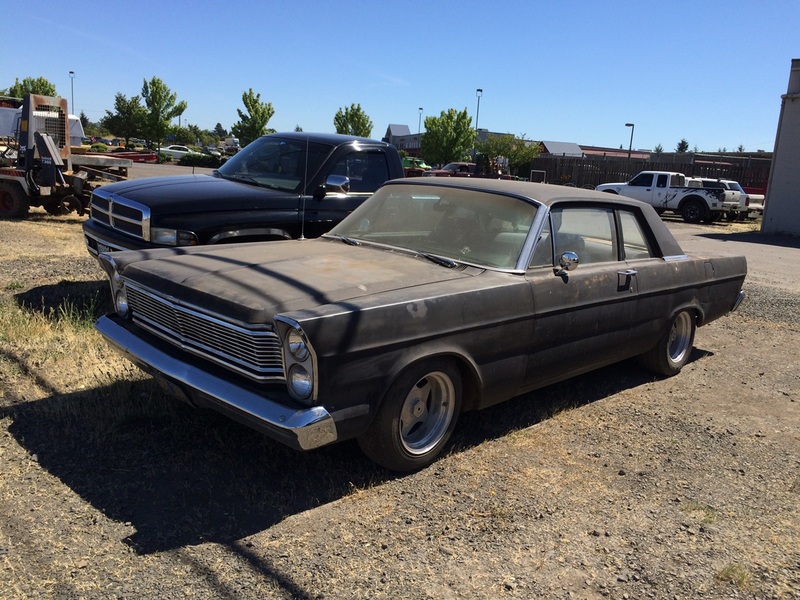 I’ve always liked the ’65 and ’66 big Fords…including the two door sedans. It wouldn’t take much to make this one into a very cool sleeper. For starters, the body is in good shape. Add some modern upgrades to the brakes and steering, upgrade the drivetrain and ditch those front seats. I’d prefer a good old 4-speed, but I could live with an automatic. Round tail lights? Big Ford? That is it was meant to be and this is the last big Ford with them. End of a line. A very nice two door sedan style. 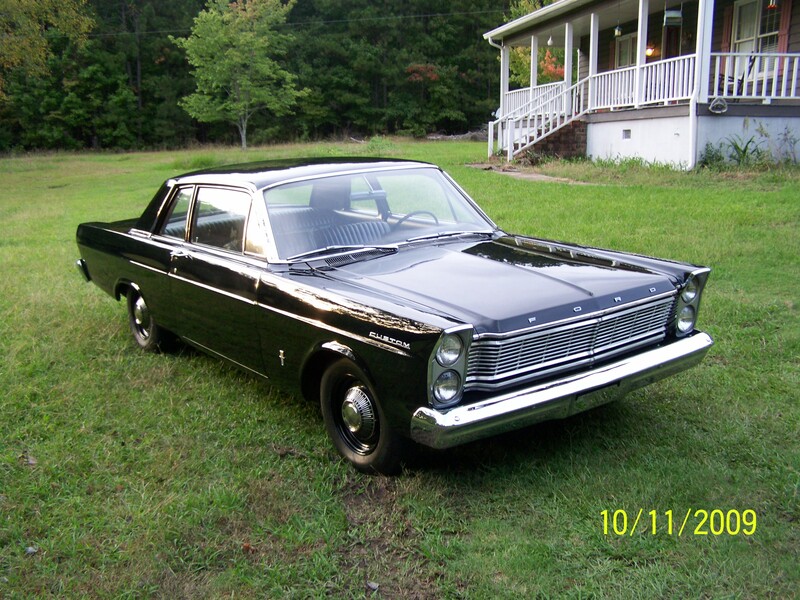 I’d prefer a ’63 but any ’60s Ford two door sedan would be nice in my garage – including the lime frost poly ’68 that lives about two miles from me. Wouldn’t take much to put it back into shape? Define much in dollars. 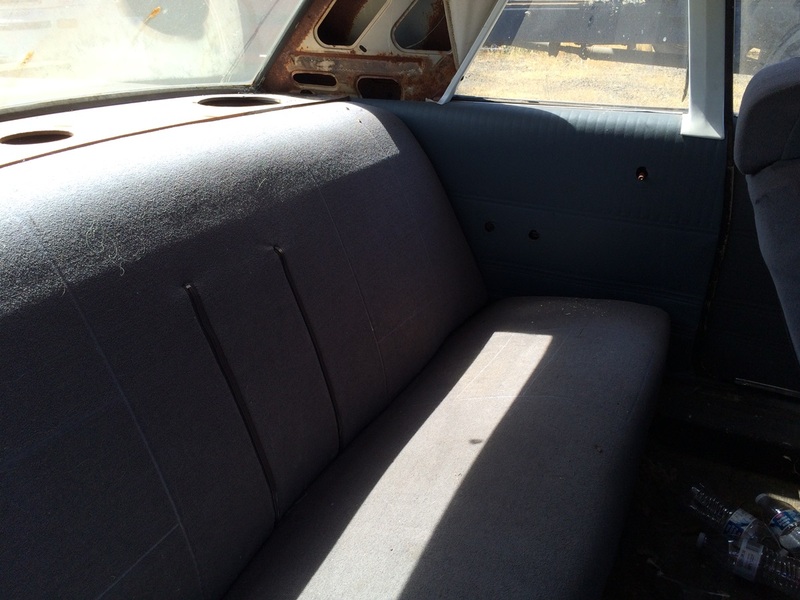 One bench seat, with fabric from SMS, and labor will cost you $800. 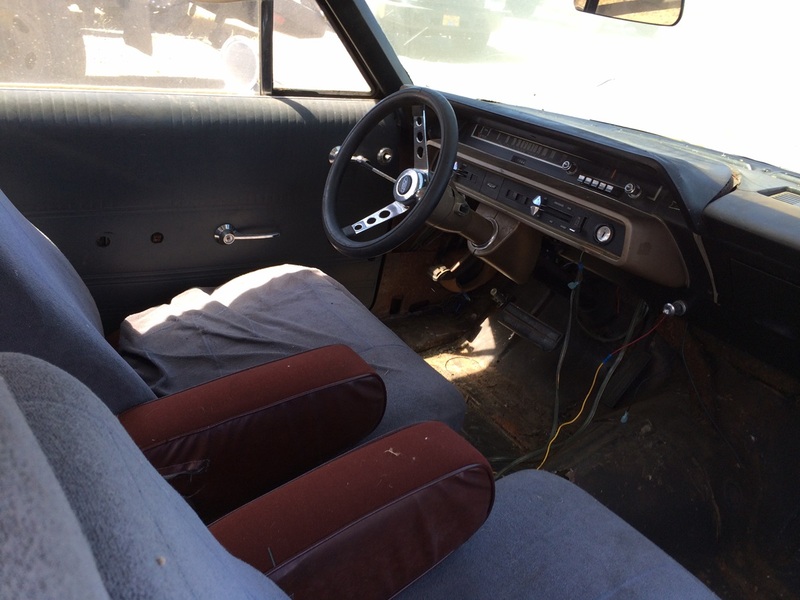 The front seat… well you first have to find a correct front bench seat. Then the headliner and faster than a speeding bullet you are at $2500. Thank god, at least no vinyl roof. Make mine a 427 with a 4 speed please. The end most folks saw in 1965. Oh my gosh. I’ve never felt this conflicted. I’m not a fan of the 65 Fords and I despise Flat Black paint. But for some reason I like this car! I’d swap those janky wheels out for some 70s steelies and Dog Dishes though. I have always liked the ’65 and ’66 much better than the ’64. Of course my opinion may be influenced by the ’64 Galaxie I owned in college. For a car that was only 4 years old it was a real piece of crap. One thing after another with it. Since I couldn’t afford to trade it off since I was making payments, I was cursed with it for 2 years . I have to say, though, that it was a good looking car. I have always thought the ’65’s looked lighter on their feet. That may be due to the switch that year to 15 inch wheels. What could be less “custom” than a later Ford Custom. Or less “special” than a later Buick Special. I like the bodystyle on this. Just a clean, attractive car, but I agree on those tail lites looking like they wore out their welcome 2-3 years before this car was built. I wouldn’t touch that paint with its patina but those early 90’s wheels that look like they were pinched off a lowered minitruck need to go. Get some torq thrusts or some wide steelies on that thing! Never really was a fan of strippo, el cheapo two door sedans, but thanks to CC, I`m starting to like them! 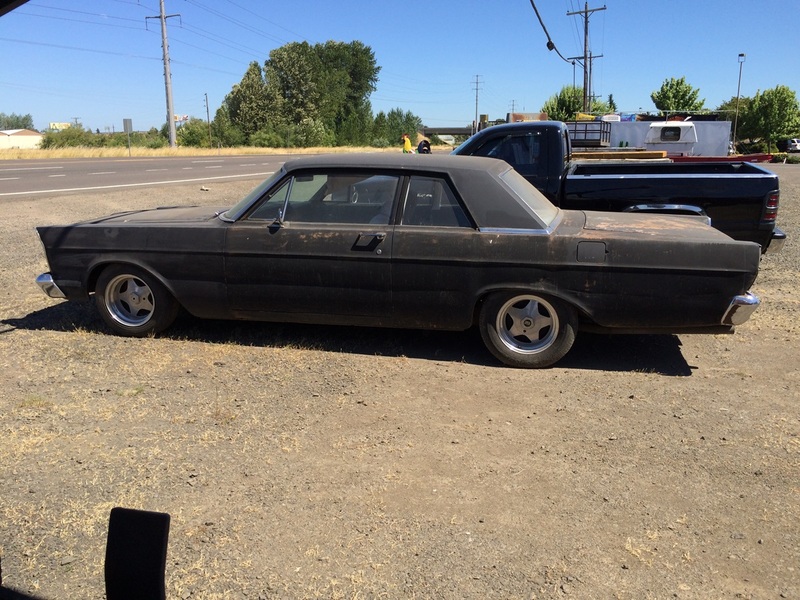 Nothing says “miser” or “cheapskate” better than a 60s vintage two door strippo sedan. Any make. Would I ever own one? Probably not. No clue what you guys are talking about…I love the look of the 65 Ford full size 2door. “I’m not a huge fan of these boxy ’65 Fords that were trying to catch the ’63 Pontiac magic, but in a bare-bones two door sedan like this, it’s rather appealing.” I’m not sure why, but this seems so right – the 65 two door-sedan roofline looks so much better than that of the 65 two-door hardtop which appeared to be an attempt to make the box look sleek but failed. 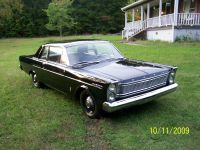 The 66 was just right and a much better emulation of the 63 Pontiac, including the more shapely sides and the sleeker roofline with concave rear window on the two-door hardtop. Also, the richer detail of the grille and the smaller square taillights were nice hallmarks on the 66. I’m admittedly very biased because of my favorite aunt’s 66 LTD two-door hardtop in Vintage Burgundy with painted black top, one of the prettiest and most reliable Fords in our family during the 60’s. I too think the ’66 grille and taillights were better looking. 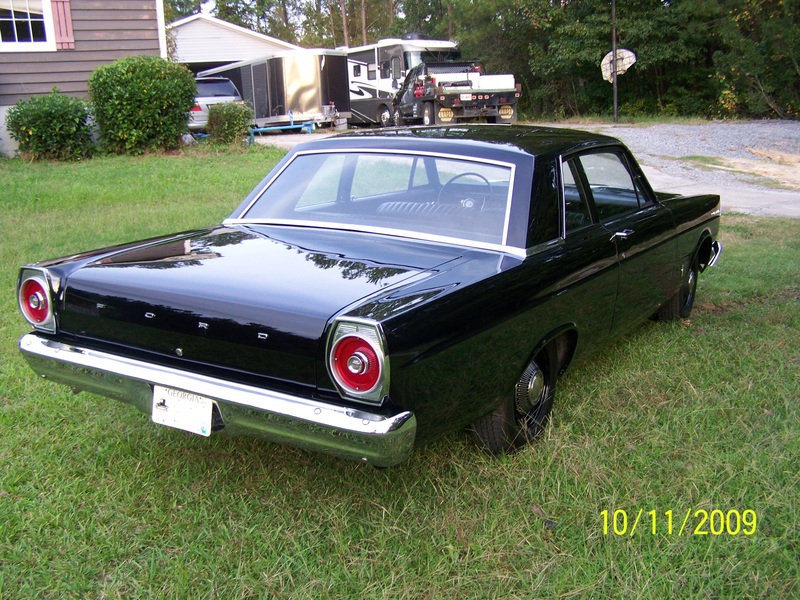 Perhaps the ’65 taillights were a bridge between the round ’61-’64 and upcoming squarish ’66-’69. While there were certainly other 2-door strippo sedans from Ford before and after this one (as well as from GM and Chrysler), this one seems to get the most love simply because it’s so square and angular. There doesn’t seem to be a curve anywhere in the sheetmetal. Add in those goofy taillights which scream ‘I’m a cheapass!’, and you have the epitome of a simple, full-size, box-on-wheels, point-A to point-B, unstylish, no-frills transportation, the sort of thing usually reserved for government fleet use. Like the Chevys and Plymouths, I prefer the ‘original’ 65 Ford restyle over the ‘annual style change’ 66’s. 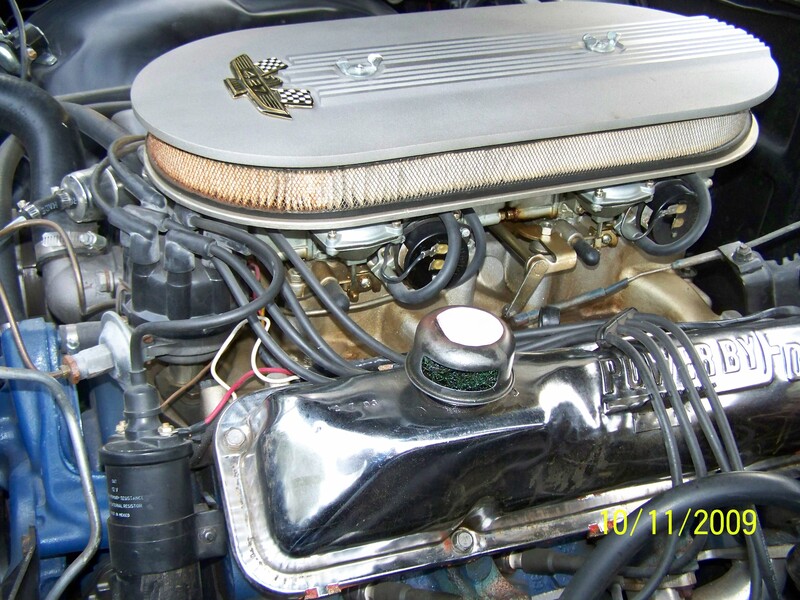 The ’65 Big 3 are one of my favorite ‘low price 3’ model years. Regarding the differing tails for Custom vs. Galaxie/LTD, was a common practice with ecoonomy of scale for big cars. So many sold then, that the extra cost for the ‘cheaper’ look didn’t matter. Maybe there were two penned and Ford couldn’t decide, so they said, “both”. I agree. The 1965 is a classic. 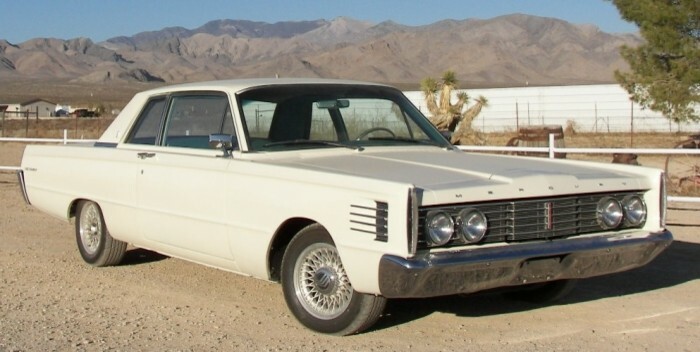 The 1965 Mercury is pretty square too, but the Ford is the One. You had to have been there in 1965 when these came out ~ they were considered very modern and new looking in those boxy lines . I can clearly see the delicate chrome shift lever , look again . Agreed , this would be a good and easy builder . Hopefully this one won’t get pimped or other wise ruined by it’s next owner . Jake , your car looks very sharp to these old eyes . My “no frills” grandparents bought a 3-on-the-tree, 289 c.i., radio & heater only, ’65 post to go along with their ’56 Chevy 210 2-dr sedan (6, stick, heater only). I never knew of their turning on the Ford’s radio. As others above me said, this car has huge potential if only on account of the lack of rust. There’s a whole load of aftermarket suppliers waiting to provide one with the bits to make it a fast, reliable fun car. Treat it as an empty canvass and you’re halfway there.